The Paracas Culture inhabited the Paracas Peninsula in the Ica Region of Peru from approximately 800 BC to 100 BC. The term ‘Paracas’ is applied broadly: it can refer to two related cultural complexes (Paracas Cavernas and Paracas Necropolis); a textile style (which can also be divided into Cavernas and Necropolis); a ceramic style (the Necropolis version of which is sometimes referred to as Topará); and the region in which these artefacts are found (Proulx 2008: 564). Due to the arid nature of the region, organic material from Paracas is found to be in a remarkable state of preservation. Human remains from Paracas, commonly referred to as mummy bundles, are bound in a seated position, placed in a flat basket and wrapped in layers of finely woven and embroidered textiles and feathered headdresses (Proulx 2008: 569). The Paracas Necropolis textiles are considered to be some of the finest textile achievements in the world. The Paracas culture was first identified and described by Peruvian archaeologist Julio Tello who excavated in the Paracas region (Tello 1959), however it is clear that looters located many Paracas sites long before Tello appeared on the scene (Tello 1959: 85; Dwyer 1979). Tello, himself a critic of the destruction caused by archaeological looting, had been monitoring the antiquities market for some time in hopes of discovering the source of a number of elaborate textiles being offered for sale (Dwyer 1979). In 1925 Tello and archaeologist S.K. Lothrap heard that the site of Cabeza Larga on the Paracas Peninsula was being looted. With the help of a huaquero named Juan Quintana, the archaeologists located the fragmentary remains of textiles which matched the style of those on the market. Tello and fellow archaeologist Toribio Mejía Xesspe returned to Paracas several months later to conduct archaeological excavations which produced over 70 mummy bundles. In 1927, they located what is commonly known as the Paracas Necropolis (also known as the Necrópolis de Wari Kayan) on the north side of Cerro Colorado (Proulx 2008: 569). Within this context Tello recovered 429 mummy bundles, some of which contained several hundred textiles (Tello 1959: 90; Dwyer 1979: 106). Due to their expert craftsmanship and other-worldly iconographic themes, the textiles immediately garnered international attention. On 26 September 1930, Tello was forced to resign the directorship of the Museum of Peruvian Archaeology for political reasons. Without an archaeological presence at the site, the Paracas Necropolis was almost immediately hit by looters. In the leadership vacuum that resulted at Paracas, Tello reports that huaqueros had taken over areas that were still marked with archaeological stakes, particularly in parts of the Wari Kayan area that had not yet been excavated (Tello 1959: 97). From 1931 to 1933 the cemeteries were massively looted and, based on the number of human bodies found on the surface by Tello and other archaeologists, the amount of archaeological material removed from the sites must have been great (Tello 1959: 97). Paracas Necropolis textiles began to appear on the international market within a year and it is thought that the majority of the Paracas textiles in international collections were smuggled out of Peru at this time (Tello 1959: 97; Dwyer 1979: 106). 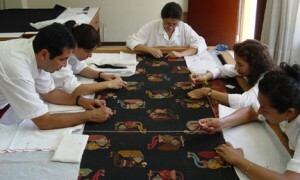 Paracas textiles appear in the collections of most major international museums and have increasingly become the focus of Peruvian repatriation requests. One particular case of note is the Paracas textile collection housed in the Museum of World Culture in Göteborg, Sweden. 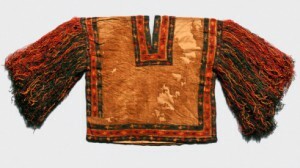 The collection consists of 100 textile (eighty-nine formerly owned by the city of Göteborg and 11 formerly owned by the Swedish state) which were “illegally exported” (to use the term on the Museum’s own website) to Sweden between 1931 and 1933 by Sven Karell, the Swedish Consul in Peru (Trulsson 2012; Varldskultur Museet n.d.). 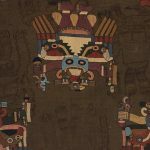 The textiles were featured in an exhibit entitled “A Stolen World: The Paracas Collection” which focused on the textiles’ status as illicit antiquities. The government of Peru requested the return of this collection in December 2009. The city of Göteborg acknowledged the illegal nature of the export of the textiles and in April 2010 they informally agreed to a slow, successive return of the Paracas material (Karlzén 2010). Over a year later no formal decision had been made about the textiles. Some museum administrators believed that the return would never take place due to a Swedish perception that Peru is not financially prepared to care for the fragile pieces (Karlzén 2010). In July 2011, then-president of Peru Alan Garcia announced that legal action would be taken against the city of Göteborg for the return of the textiles, claiming that the city government was ‘complicit in the deprecation and looting of a country and civilization’ (The Peruvian Times 2011). This was seen as a rather surprising move on the part of Garcia given the city’s continued interest in the return of the Paracas material. Critics denounced his threat as being overtly political and related to Garcia’s success with the repatriation of Machu Picchu material from Yale. Four of the textiles are to be returned to Peru on 18 June 2014 with the others expect to follow as their conservation schedule permits. The last is expected to be returned in 2021 (Blumenthal 2014). Blumenthal, Ralph (2014), ‘Sweden Returns Ancient Andean Textiles to Peru’, The New York Times 5 June. Available at: http://artsbeat.blogs.nytimes.com/2014/06/05/sweden-returns-ancient-andean-textiles-to-peru/ accessed 5 June 2014. Dwyer, Jane P. (1979), ‘The Chronology and Iconography of Paracas-Style Textiles’, in Ann Pollard Rowe, Elizabeth P. Benson, and Anne-Louise Schaffer (eds. ), The Junius B. Bird Pre-Columbian Textile Conference, May 19th and 20th, 1973 (Washington D.C.), 105-28. Karlzén, Karin (2010), ‘Cultural Property and Claims for Repatriation’, (Masters Dissertation: Göteborgs Universitet). Proulx, Donald A. (2008), ‘Paracas and Nasca: Regional Cultures on the South Coast of Peru’, in Helaine Silverman and William H. Isbell (eds. ), Handbook of South American Archaeology (New York: Springer), 563-85. The Peruvian Times (2011), ‘Garcia surprises Sweden with pland for legal action to recover Paracas textiles’, The Peruvian Times, 6 July. Trulsson, Nina (2012), ‘Stulet Kulturarv?’, (Masters Dissertation: Lunds Universitet). Varldskultur Museet (n.d.), ‘A Stolen World: The Paracas Collection’, <http://www.paracas.se/en/>, accessed 9 July 2012. Tello (1959: 85) records that the Ica valley was the site of the most obvious devastation caused by looting. He describes a pock-marked landscape scattered with huaquero discards. He says that at the time of his writing, the looting of tombs in the Ica region had been intensively conducted for forty years and has caused ‘irreparable damage’ to the heritage of Peru.